Connectivity Perspectives: Low-Cost Amenity or High-Margin Business? Connectivity is increasing in its importance as data center users evaluate the market. As the industry evolves, data center operators are focused on providing more cost efficient solutions, which give users access to top solutions at a much lower cost basis. Below is a guest blog post from John Sheputis, President of Infomart Data Centers, which provides his perspective of the changing connectivity market and how the Infomart team is working to provide access to these services. For more information about John and Infomart Data Centers, please visit www.infomartdatacenters.com. The telecommunications industry is evolving, and with this evolution comes big shift in the needs of companies that rely on colocation and connectivity to conduct business. Telecommunications and data centers are converging, and today, the industry is experiencing a greater need than ever for robust, direct and cost-effective connectivity to carriers, service providers and enterprise organizations. For carriers, having a presence within environments that enable these interconnections such as Building Meet-Me Rooms (BMMR) inside a carrier hotel or colocation (data) center presents opportunities for tremendous business growth. Through a simple cross-connect, carriers and network providers within a BMMR can seamlessly exchange data and connect to a dynamic ecosystem of partners and enterprise customers in a reliable, neutral environment. 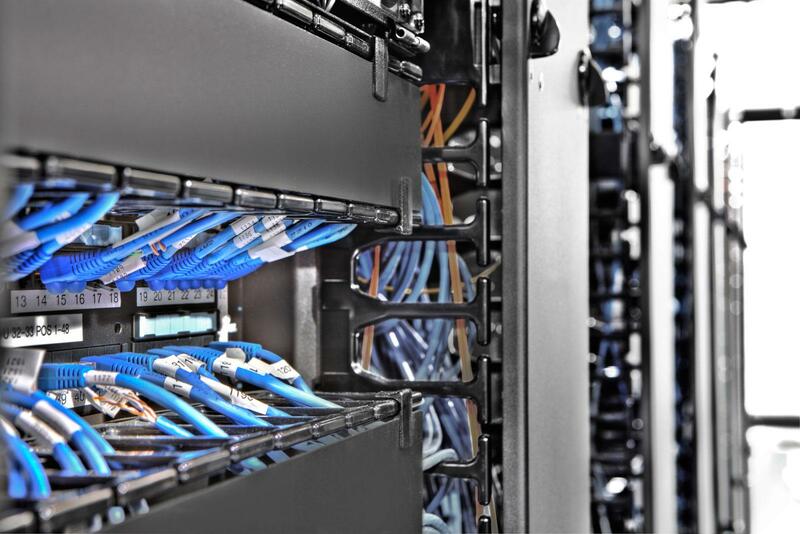 Cross-connects are a method of patching two points (typically servers) within a colocation facility private cabling. Tenants within the BMMR request cross-connects to other tenants, such as content providers, enterprises, electronic trading firms, cloud providers, and more. A centralized cross-connect location helps to minimize latency, simplifies the process of connectivity and adds significant redundancy and pricing advantages. Cross-connects are at the core of today’s business communications, and are vital to enabling the very connectivity that makes our operations tick. For this reason, they usually come with a hefty price tag. Typically, tenants can run wires within their own cage at no cost. However, cross-connecting with any other point via cabling outside of their cage typically incurs a cross-connect fee. These fees vary based upon the type and speed of the line procured (typically fiber, CAT5/6 or COAX). While the average cost of running a cross-connect is estimated at about $40, many data center providers mark-up fees to between $250-$450/month for each cross-connect, plus an additional one-time set-up fee. While leveraging cross-connects may be a more cost-effective connectivity option for smaller industry players, large data center providers targeting global enterprises are realizing that when it comes to their customers’ connectivity: where there's a will, there is a way. Some large enterprise organizations with the physical and budgetary resources to do so are bypassing third-party data centers entirely and building their own connections instead of relying on costly cross-connects. While certainly not easier, with the rising cost of cross-connects, it can be a more cost-effective option for the customer. Forward-thinking data center providers are taking note, offering low-cost interconnection options by eliminating monthly recurring cross-connect fees in their facilities altogether in order to encourage interconnection. At Infomart Data Centers, we believe that connectivity is an amenity and a right of our customers. It’s about making it easier, faster and less expensive for customers to connect without having to build their own infrastructure. In today’s dynamic data center landscape, offering cross-connects as a low-cost amenity or high-margin service is a decision based on each data center’s strategy as well as short- and long-term objectives. To the modern-day carrier and enterprise customer, the answer is simple. To the data center and cross-connect provider, it’s certainly a choice to consider: risk high-margin revenues today or the prospect of major enterprise business tomorrow.